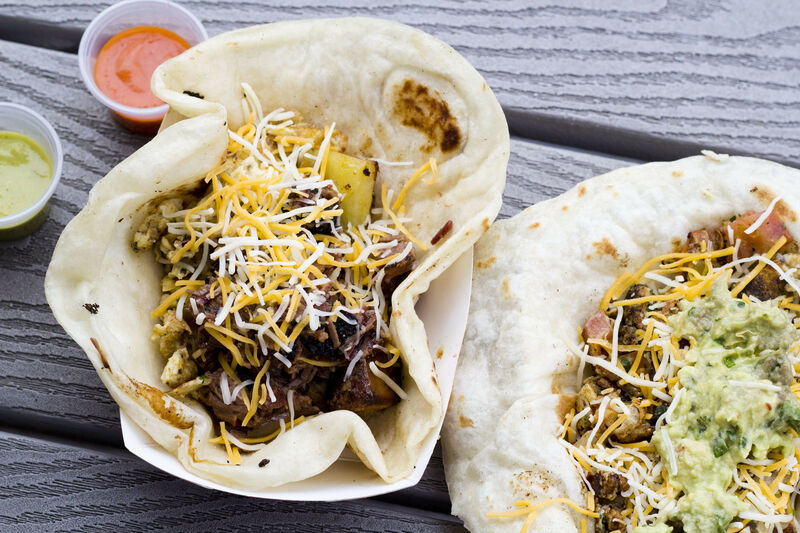 A new pod on Southeast Division raises the bar for food cart luxury. 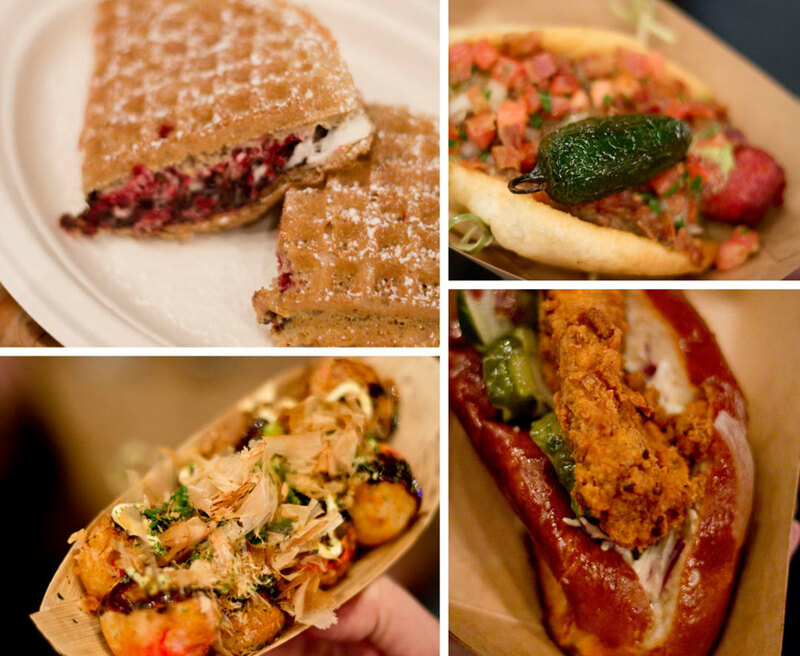 Clockwise from the left: Raspberry Truffle waffle from Smaaken Waffles, Sonoran Dog and Fried Chicken on Bourbon Bread from Dog Town, Takoyaki from Buki. 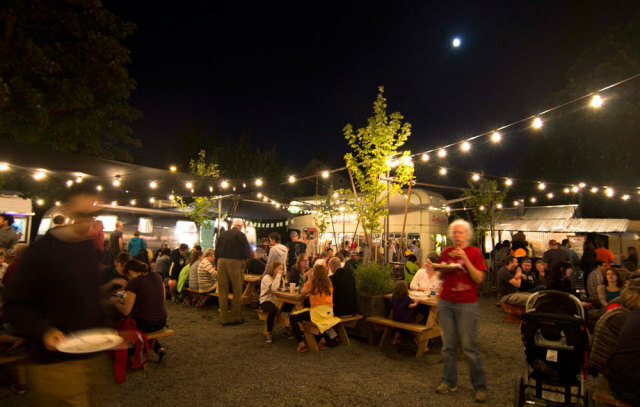 Bistro lights gleam against silver airstream trailers, locals inch, single file towards a cart pouring craft beer, and the smell of deep-fried takoyaki balls wafts through the air. It feels like Feast’s bustling night market, but it’s just another Friday at the Tidbit food cart pod on Southeast Division and 28th Place, which opened quietly this summer. 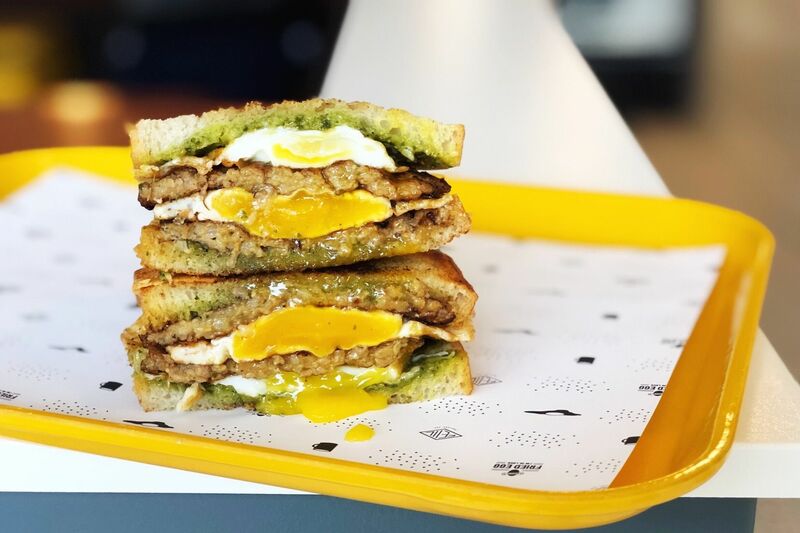 It’s still early, but Tidbit is looking like Portland’s most polished pod, with a prolific mix of over twenty vendors, from a boutique apothecary and florist to wood-fired pizzas and Japanese street food. Tidbit cart pod in full force. 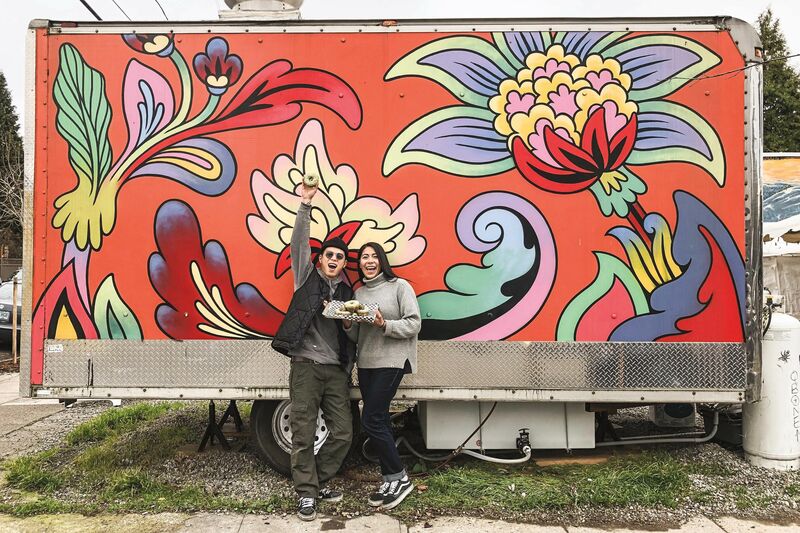 Tidbit has become the de facto refugee camp for displaced food carts, pulling in old favorites like Pyro Pizza, Love Belizean, and The Doghouse PDX after a recent culling of pods around the city. Beyond the food, Tidbit is downright extravagant by cart standards. 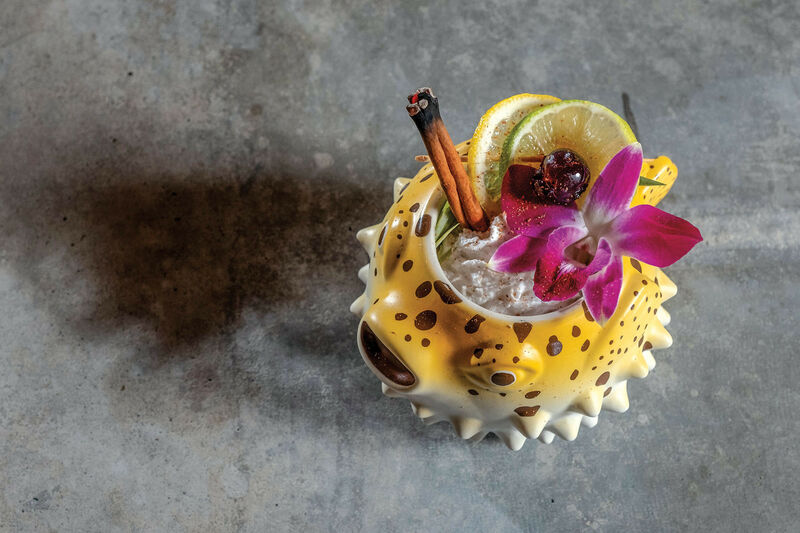 Inside, you’ll find a fire pit, live music, beer garden, farmer’s market booth, and an entire non-edible category of cart with clothes, flowers, and tchotchkes. Scandinavian Pølse wrap from Ingrid’s Scandinavian Food: Elastic lefse wrapped around a thick smoked sausage, tangy “Norwegian” coleslaw and spicy dill mustard. Takoyaki from Buki: Fried dough balls, stuffed with bits of octopus and topped with undulating bonito flakes and drizzled in a sweet, Worcestershire-like sauce. SE 28th Pl. and Division St.